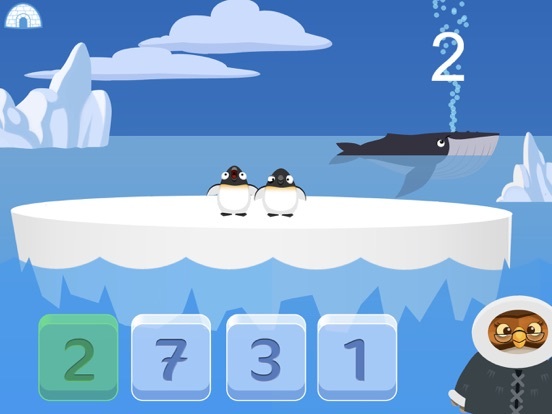 Count up to 10: Learn Numbers with Montessori is an entertaining app for kids. As kids play they will be counting, tracing, and identifying numbers and more for numbers up to 10. 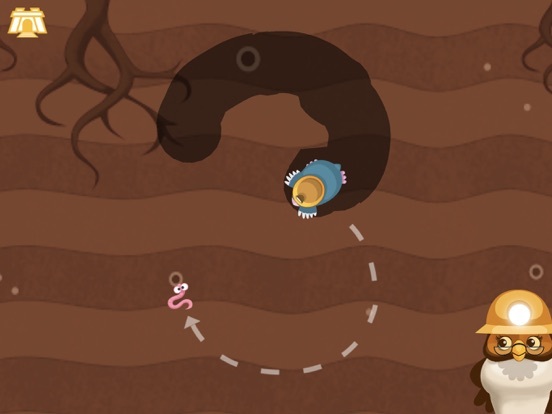 Cute characters will entertain and guide children as they work their way through the games. 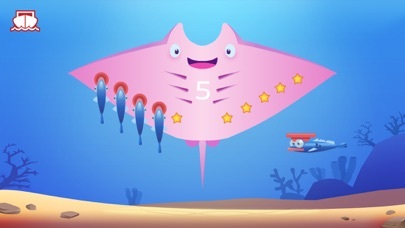 High quality design elements and an easy to use interface make this educational game a pleasure for children and adults. This app is intuitive making it easy for the young users to pick up quickly and easily. 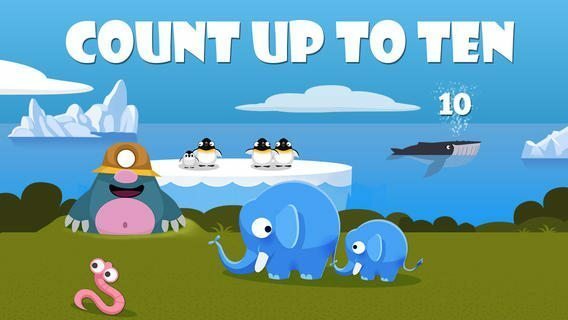 This app contains mini games that will help your child discover numbers up to 10. 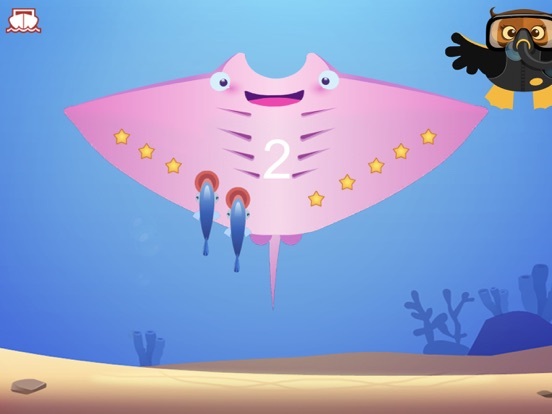 By interacting with a number of cute characters children will learn to count by touching penguin bellies, trace numbers with the help of a mole, select the correct number of fish for the number shown on a manta ray and identify quantities with the help of elephants. A wise old owl provides positive guidance and directions as needed. Throughout all of the exercises children are guided gently through what actions are needed and given positive feedback. 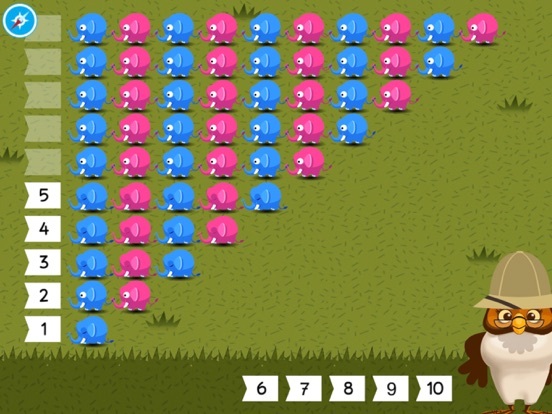 Children will see and hear the numbers in multiple ways throughout the games. 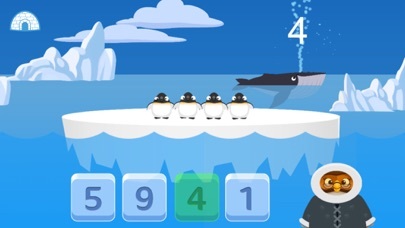 The app does a nice job in presenting numbers in ways that kids will be able to identify the number by sight, counting the objects in the group and learning about quantities. 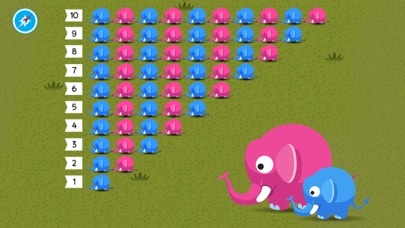 Each of the mini games builds on the previous game; it is not required to complete one game before moving on to the next. The three levels within each game are locked and must be completed in order. A short clip of information about the animals in each section is a fun little addition to the app. To track user progress a parent account must be created prior to your child using the app. An account is also required for obtaining the flashcards used in one of the mini games. Making the flashcards part of the app or offering an alternative activity not requiring the flashcards would keep the flow of the app moving nicely. 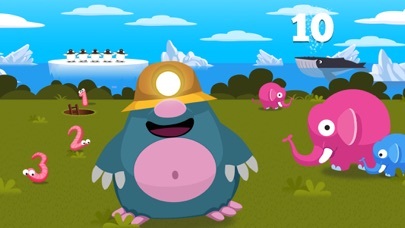 This app presents the learning activities in a manner that makes it feel more like a game. Adorable characters and the short animal clips add to the entertainment value. Achievements are awarded after the completion of each game. 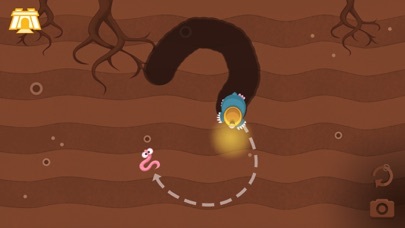 The items earned can be used in the Montessori garden, available on the developer’s website if an account has been created. Ideally, the garden would be part of the app so those not wanting to create an account or not having access to the internet could enjoy the garden, too. Currently priced at just less than two dollars, this universal app is a great buy. The ability to create multiple accounts and track progress is a benefit to families. Adding the ability to play all games and access the garden from within the app would make this app more appealing to a larger audience. The developers have done a great job protecting kids from the progress tracking, social media and other items found in the parents section. Making the garden accessible from within the app and changing the flashcard activity would make this app even more child friendly.